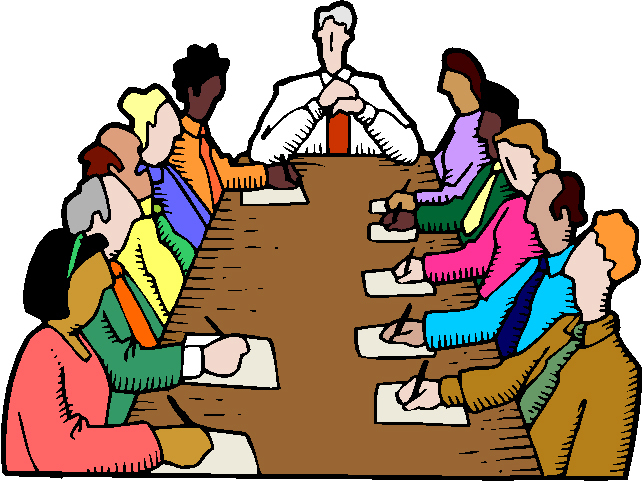 What can a board do to conduct meetings in an efficient manner that allows all the appropriate discussion to take place and allow the board to consider its work in an orderly fashion? The first step in effectively running a board meeting is to adopt and utilize procedures that assist the board to efficiently run and control its meeting. A board meeting which is organized will run smoothly and conduct the business of the association and yet effectively communicate the position of the association on various matters to the membership. A challenging aspect of community association board meetings is how to actually conduct the meeting. Generally speaking, there is little statutory guidance or document-specific provisions explaining how a board should run a meeting. 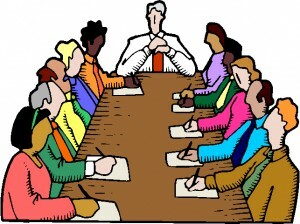 As a result some boards struggle with this aspect of association management, either not meeting frequently enough, or allowing too much discussion (by both board members and homeowners) so that a meeting, convened to allow the board to conduct the business of the association, effectively turns into a town hall meeting which lasts far too long into the evening. Planning and conducting an effective board meeting starts with a good meeting agenda. The agenda is the “road map” of the meeting and is a useful and powerful tool to keep both board members and homeowners on topic and in control. In fact, the agenda must be part of the notice of a meeting which is given to the members. A good agenda will facilitate a smooth, efficient and effective board meeting. See our article, What Should Be on Your Agenda, for tips on how to prepare an agenda for your board meeting. There are many ways to conduct an effective board meeting. Some boards choose to follow Robert’s Rules of Order. Some Boards like to follow standard “Parliamentary Procedure,” but, boards generally have the ability to choose any form of parliamentary procedure to conduct their meetings. Even though boards are required to follow parliamentary procedures most boards will apply a relaxed version of these procedures and will still meet their duty in conducting the meeting. Not only is a board required to run a meeting with some form of parliamentary procedure in California, but utilizing parliamentary procedure, like Roberts Rules of Order, assists boards in conducting “business-like” board meetings with official sounding “motions” made by directors, which require a “second” vote before all the directors vote either for or against the issue. While most boards attempt to follow a form of parliamentary procedure, unless a parliamentarian is a board member who can ensure that Roberts Rules of Order are implemented with strict compliance, it is likely that the board is not strictly following true parliamentary procedure in its meetings. These rules are complicated, complex and outdated. Many directors of boards believe they are applying Roberts Rules of Order in conducting business but would find otherwise if they closely scrutinized their actions in light of the rules. Therefore, it is likely that prior board business believed to be conducted pursuant to Roberts Rules of Order was not conducted in strict accordance to these rules. In any case, strict accordance with Robert’s Rules is not the ultimate goal. Rather than worrying whether the board members are strictly complying with parliamentary procedure, directors should focus on conducting the board’s business in a “business-like manner” without attempting to preclude a director’s votes for failure to strictly comply with parliamentary procedures. Board President: “Since there is no more to discuss concerning this issue, I call for a vote. All those in favor say ‘Aye’. All those opposed, ‘Nay’. While Association Board meetings are not the same as government meetings, they are important events to ensure the community is properly managed and that decisions which are important to the community are made and action taken. While they may often be run through an informal parliamentary process, a sense of informality can often create difficulties for a board when dealing with difficult issues, especially if the community is divided over an issue. Remember to always keep private matters private. By adopting and sticking to an agenda, choosing a method of parliamentary procedure that works for the board, and creating a formal meeting room setting, a board will go a long way towards keeping meetings on track, orderly, and not lasting longer than needed to be to accomplish the board’s job. This, in turn, will help the board effectively manage the needs of the association. Please click here to download a PDF verision of this article.